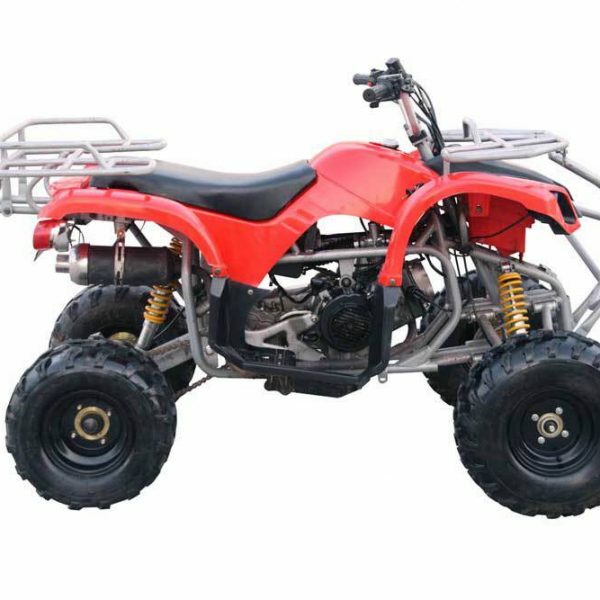 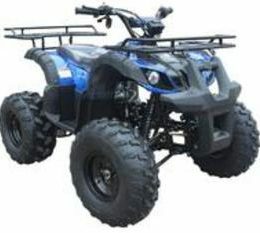 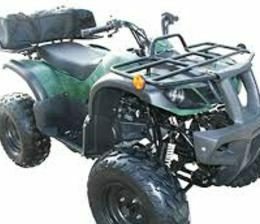 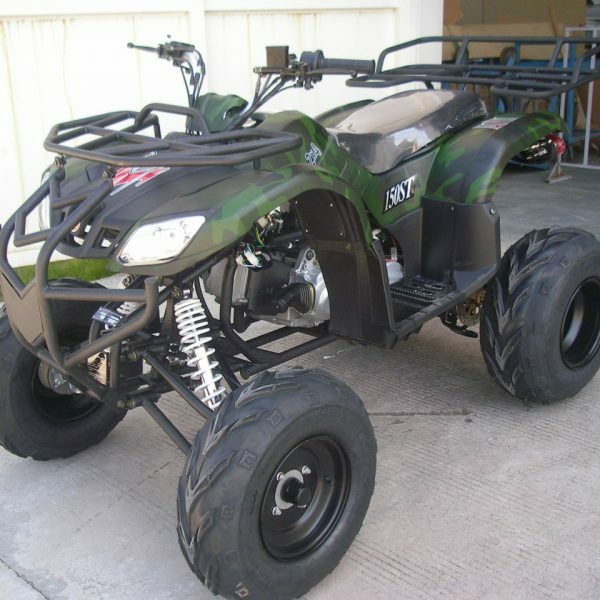 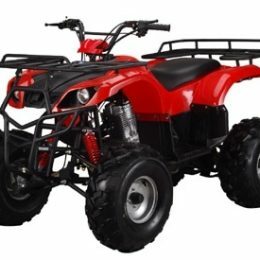 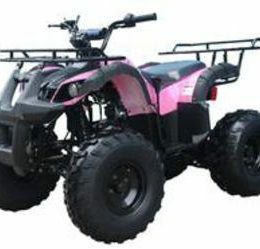 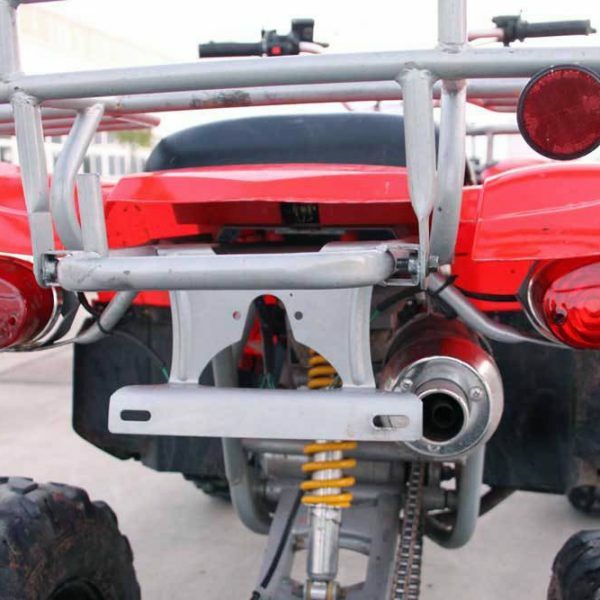 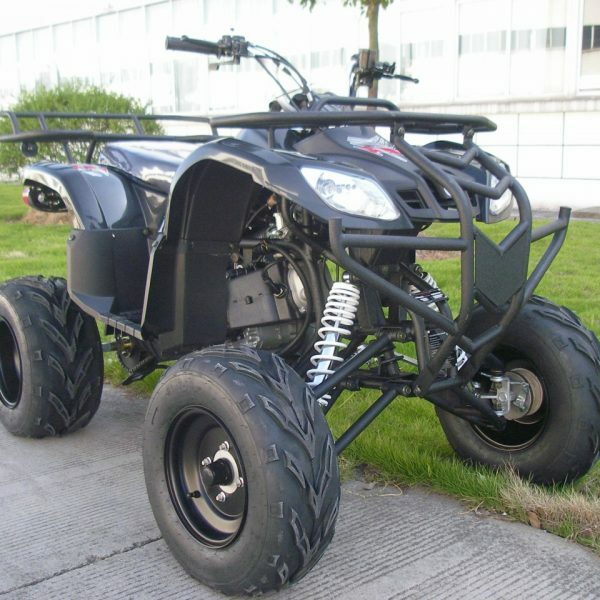 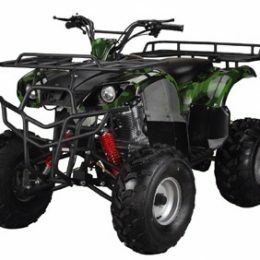 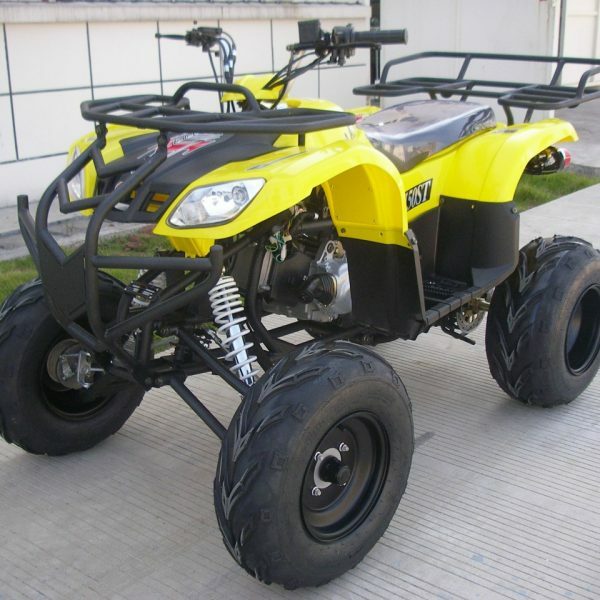 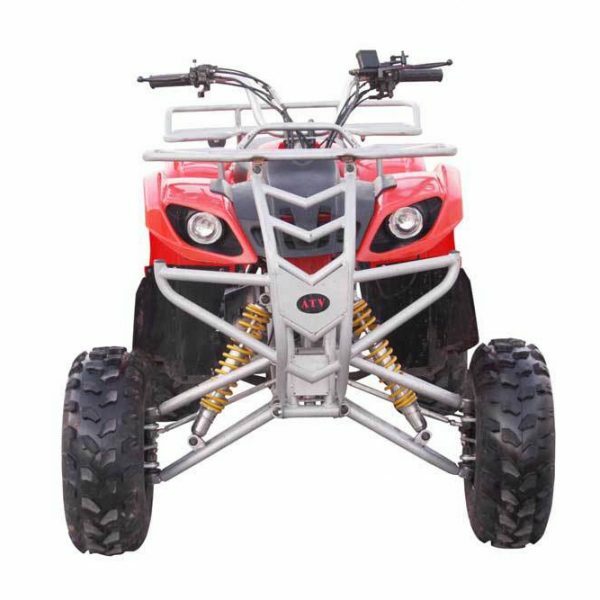 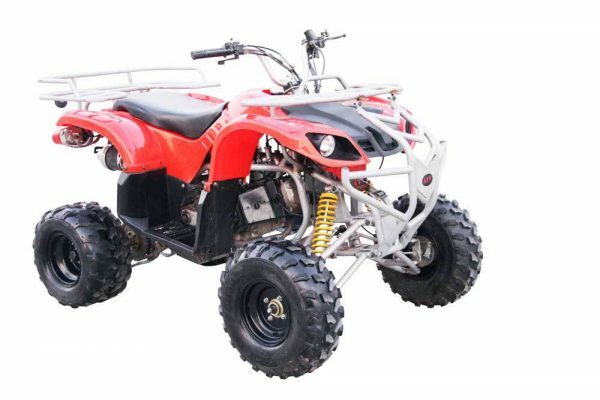 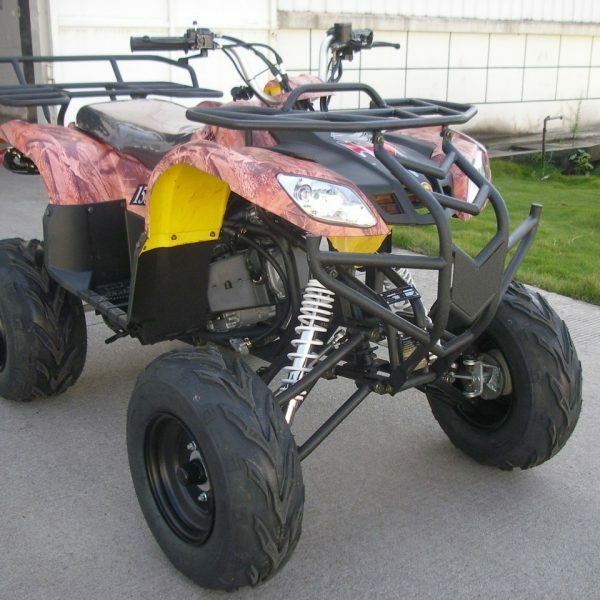 The Kandi MDL-GA013-2 150CC ATV is a heavier version of the MDL-GA008-2 model, weighing in at 429 pounds when shipped. 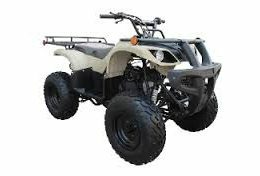 The total weight capacity is 210 pounds, making it a great choice for young adult riders. 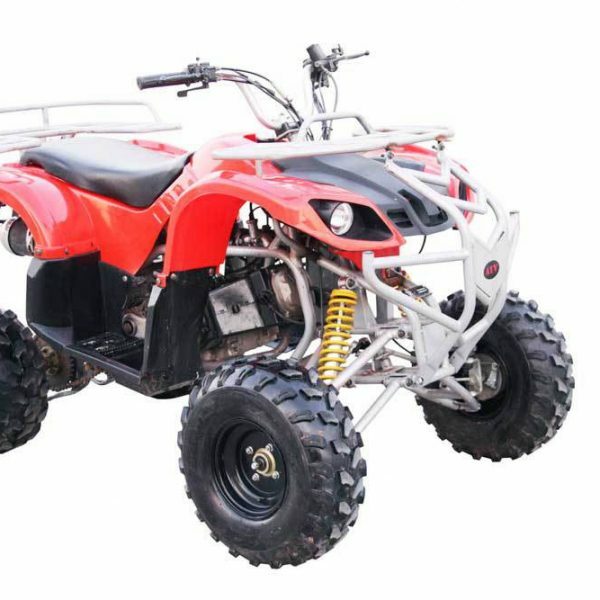 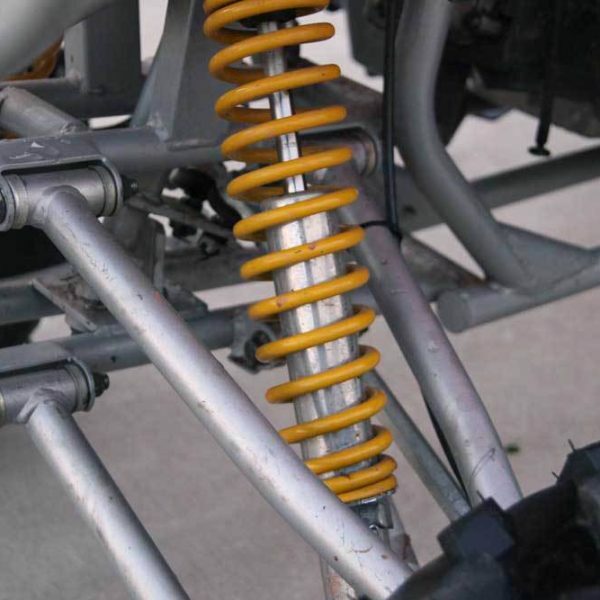 Great speed can be achieved in the ATV, with a maximum speed of 37.3mph, although a speed governor is included. 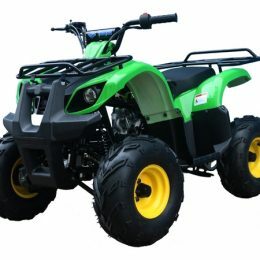 The 11.1 horse power four stroke engine is a single cylinder engine and air cooled as well. 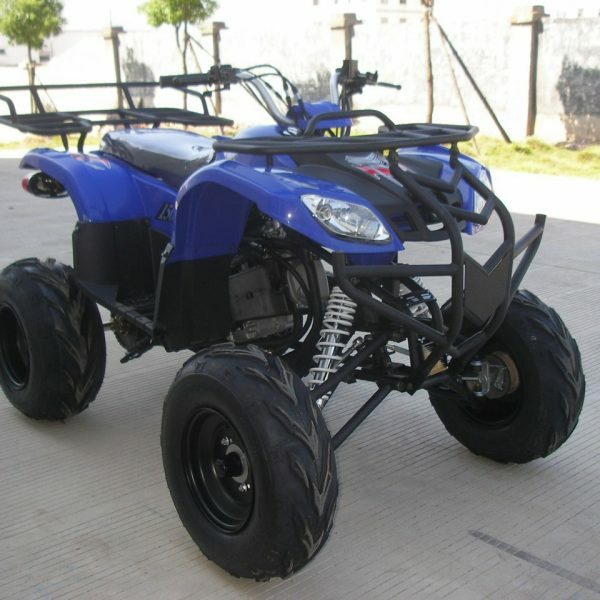 It also includes an automatic transmission that offers a reverse gear. 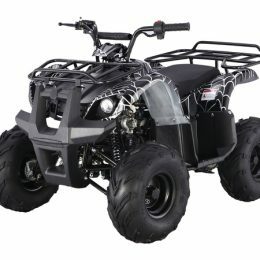 Other features include CDI ignition, electric start, drum/hydraulic disk brakes, and a two gallon gas tank.